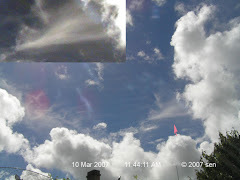 This picture was captured 20 Jan 2010, 2:42:55 PM before the rain came. 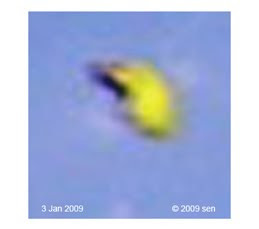 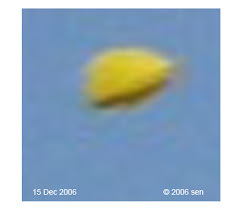 Looks like a group of invisible UFOs in side by side formation hovering in front of my garden’s sky. 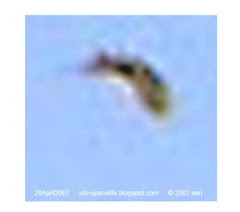 As the photo was taken in poor lighting conditions, it is hard to identify them. 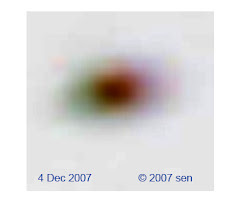 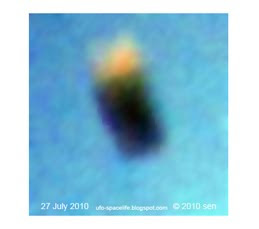 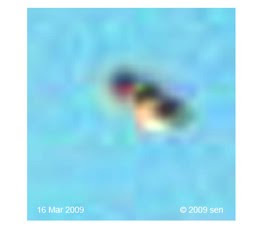 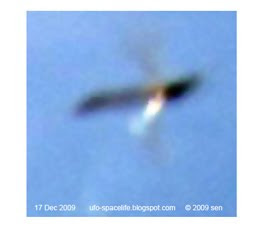 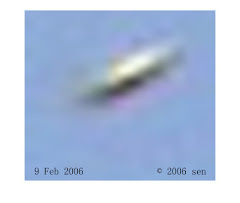 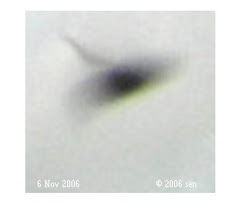 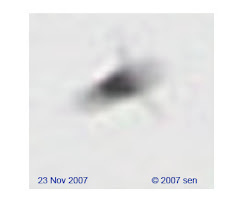 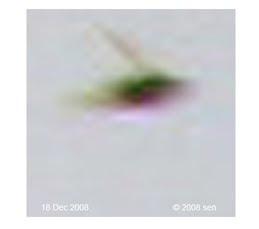 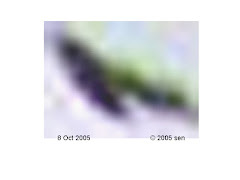 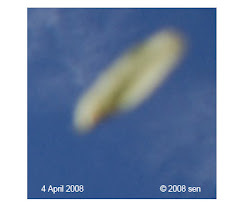 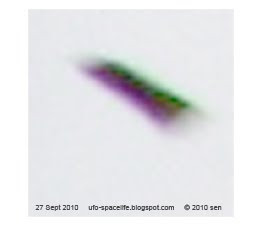 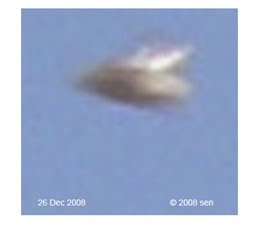 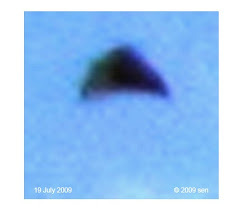 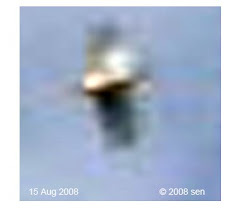 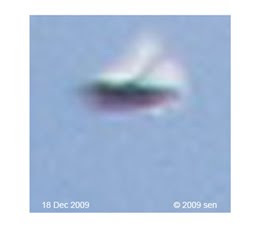 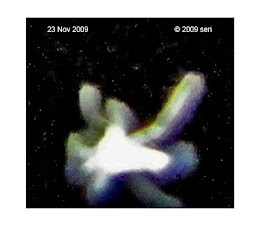 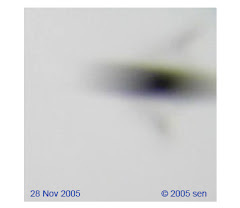 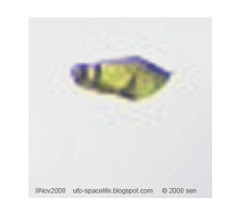 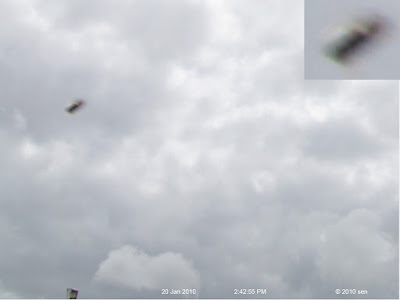 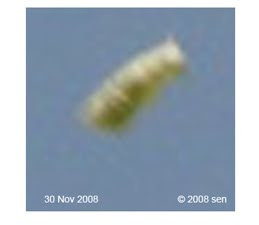 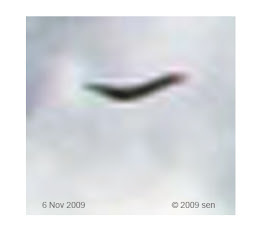 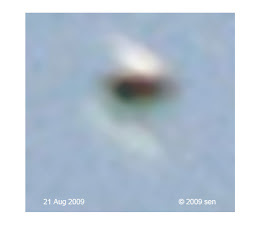 But it is similar to the picture that I captured above my roof on 6 Mar 2006 day time, which shows four different colors objects, they all have heads and bodies.